Move over Louise, Thelma has three new pals riding shotgun. 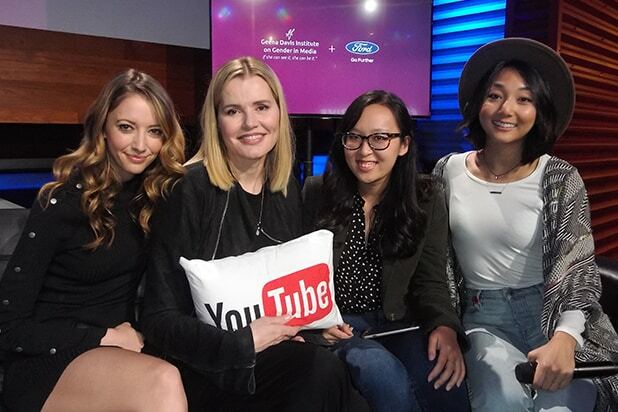 Geena Davis has wrangled a trio of successful female creators from YouTube for a new campaign pushing for gender equality in media. Unlike her reckless roadtrip with Susan Sarandon in the legendary “Thelma & Louise,” this trip is headed for higher ground than the floor of the Grand Canyon in a Thunderbird. Like the iconic 1991 film though, Ford is back on board. “#ShesGotDrive” is a branded content campaign promoting gender equality on-camera, off-camera, and female empowerment throughout the media and entertainment industries. Lifestyle personality Taryn Southern (457k subscribers), filmmaker Yulin Kuang (27k subscribers), and musician Clara C. (aka. 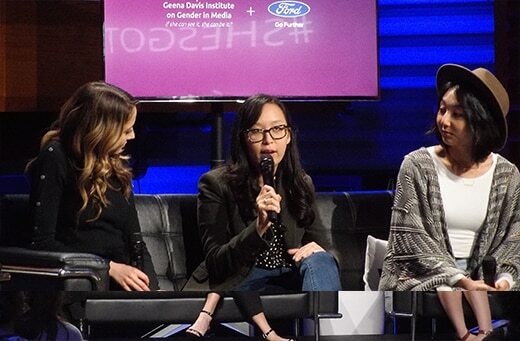 Clara Chung, 263k subscribers) are churning out Ford-funded content that highlights their own DIY-origin stories that led to their success. Each is hacking their own path to acclaim in comedy, film, and music through YouTube. “Nobody looked like me when I was watching videos on MTV when I was six,” musician Clara C. said on stage. Now with an enviable following, Chung revealed the she got her stage legs as a toddler when she ran up and stole the microphone from a performer at a show. 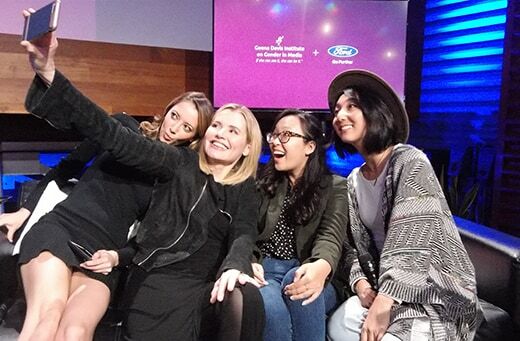 The Oscar winner’s Geena Davis Institute on Gender and Media has a targeted focus: improving the portrayal of girls and women in media to children 11 and under. Davis is also busy off screen with the upcoming Bentonville Film Festival (yes, Arkansas) that she co-founded. It’s the only film festival that guarantees distribution for some of its winners and lined up major backers like Walmart and Lifetime after only two outings. 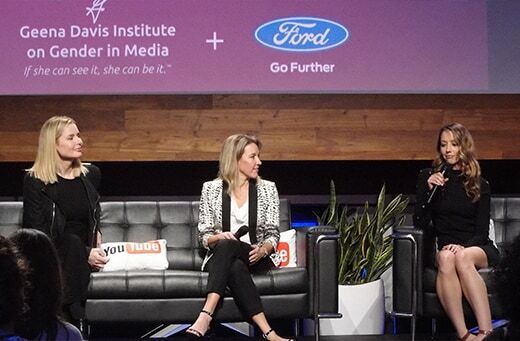 For Ford, this program launches during a pivot-point in the evolution of their entertainment footprint. For sixteen-year-olds now getting drivers’ licenses for the first time, they have never been alive when “American Idol” was not on the air. The cultural phenomenon was flooded with tight Ford brand integrations that became synonymous with the show for years. 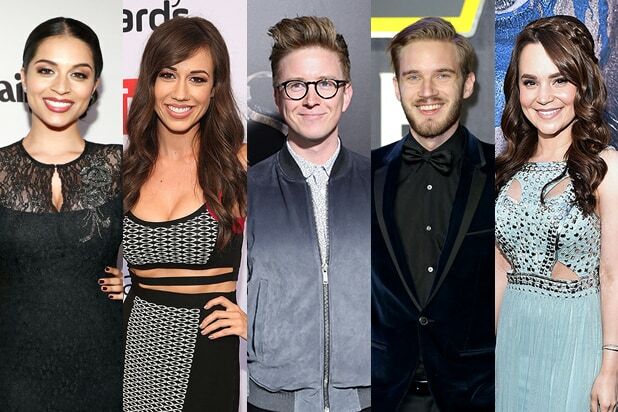 Forbes released its list of the highest-paid YouTube stars on Monday, with the top ten earning a total of $70.5 million over 12 months.